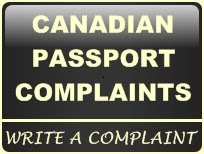 Brampton passport office was extremely rude, arrogant pontificating individual that basically told the father that the ex-wife could proceed without my consent for the childrens passports, all i asked for was a promisory note that the passports would be made available for the children and i which the ex now denies access to-I hold the unethical manager accountable for this malaise. Brampton Passport is giving me real hard time for my son's passport all because I do not have any information on my ex-wilfe. I have the sole custody of son who is 14 years old now. I have the court papers saying that I can apply for passport and travel any where in the world with my son. My ex never contacted me in last 11 years time. The passport officer says everything is fine from the court but need information about my ex. Why don't they understand that person who did not contacted her own son for last 11 years, how would I find her now. Why do not they ever do the job right at first. Well wish me luck this morning my son and I are applying for his passport; just hope they DON'T give me a hard time!!! I have had nothing but positive experiences at the Brampton office. They were fast, professional and friendly. I would recommend this office to anyone getting their passports. I have gone to the Mississauga office in the past and have had must better experience at the Brampton office. I just went to Brampton office and they are very rude. My Canadian born daughter need to renewal her passport and they didn't accept the application as they said the previous passport was issued when she was under 18 yrs old. They provided with the adult form to complete which needs a guarantor (not for previous renewal form). We came home to ask our neighbour to sign as guarantor and we call Brampton office to ask if my daughter has to be present or if I can take all the documentation with me as my daughter has to go to classes and they didn't want to respond. They are very rude, we are paying hight taxes to support the wages of that RUDE service. There are public servants and we deserve better treatment, we are paying to be attended!!! Well I went yesterday asking what documents are required for a child to renew her passport. The lady that was in the initial intake was very rude and ignorant . I already had her old passport which expires June 20th 2016 - i made travel arrangements to visit family for April 30th in Aruba coming back mid may. My main concern was I was told that if I come back via the US the passport can not be expiry in 6 months time. so there is a possibility that if I travel via the US on the way back to Canada, that my daughter could not travel back due the the expiry date on her passport. I brought a photo copy of her birth certificate as the paperwork requires her number. I was told I need the original copy???? I don't understand why as she already has a passport and its not the first time I'm getting her a passport - this would be her 3rd one. Anyways, the lady helping me was super rude. Now I'm going to try my luck Mississauga. Now I may have to go and reapply for a new birth certificate as I can not locate the original :( just for a passport.